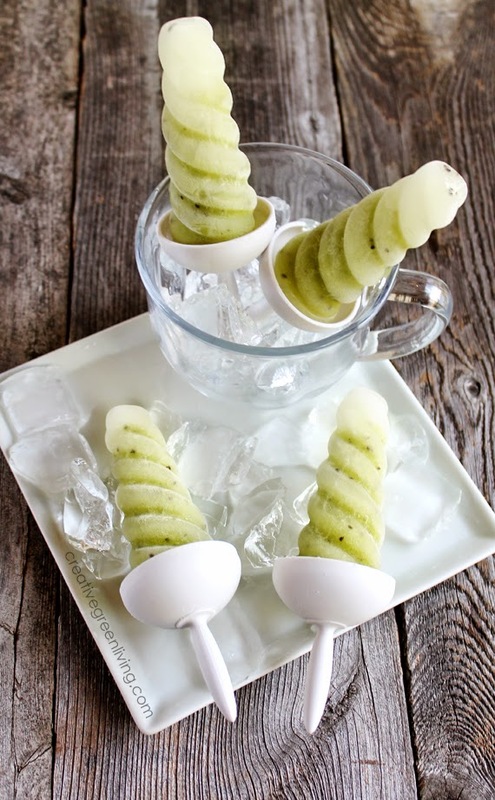 Peel kiwi and cut into quarters. My popsicle molds are from Mastrad. They are silicone with phthalate free sticks. 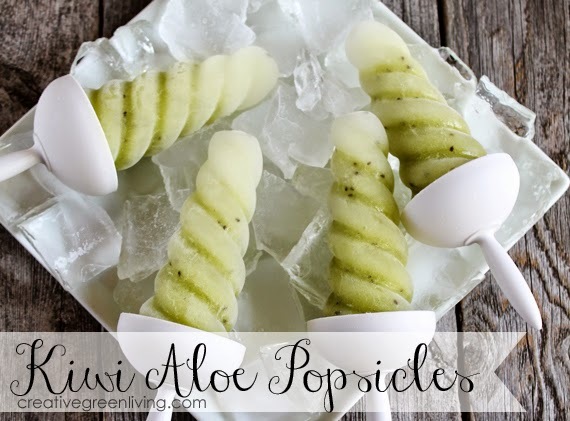 Not only are they easy to use but they are super pretty (I love the swirl look!). Get them here. Yes, I remember how Portland area gets those blistering hot days around now. I guess it kind of makes up for the gray drizzly weather the rest of the year.....but isn't there a happy medium??? Ha. 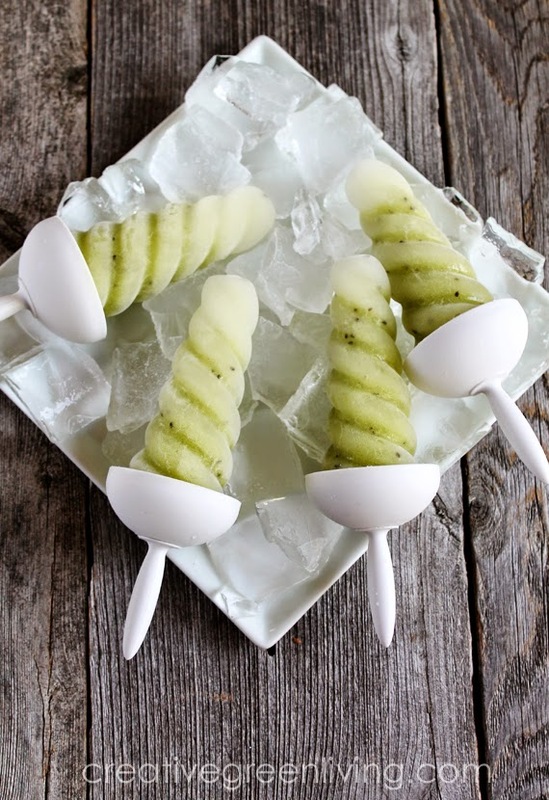 These kiwi pops look delicious!!! I didn't know there were phthalate-free sticks. Do you think the silicone molds are safe? I have some, but they are all Made in China and I just wonder. I do think the silicone molds are safe. There is some discussion that exposing silicone to high heat repeatedly may cause issues with the chemical bonds (such as in silicone bakeware) but that is still being researched. I feel very good about silicone in items designed to be use cold or at room temperature such as straws, sleeves for water bottles and popsicle molds. Thanks, Carissa! I tend to agree that with cold things, it is much safer. I hate being suspicious of things, but with so many health problems that seem to be rampant in recent decades I begin to wonder about the safety of everything. Never be apologetic about being a good researcher! Sadly, the FDA and USDA are not doing their jobs to protect us from harmful chemicals in consumer good available in the USA so we need to do our own research to choose safe items for our families.